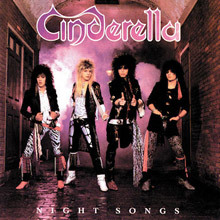 Cinderella emerged in the mid 1980s and immediately captured the heavy metal high ground through their innovative MTV videos that proved so popular. Initially they were more glam rock than hard rock but as time went on a heavier more blues based sound became their 'sound' helping them to sell 15 million albums around the world Formed in Clifton Heights, Pennsylvania their 1986 album, Night Songs made No.3 on the Billboard best sellers chart and set them up as one of the decades big sounding bands. Their success in the UK centred around their 1988 album, Long Cold Winter and their first album of the 1990s, Heartbreak Station. 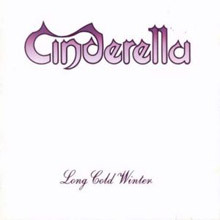 Having broken through to popular success with Night Songs, Cinderella returned with their second album, Long Cold Winter, in July 1988. Radio initially focused on the track "Gypsy Road," giving it a Top 20 ranking in the Album Rock Tracks chart, but Mercury did not release it as a single at first (although in the U.K., where it was released as a single, it charted). Instead the power ballad "Don't Know What You Got (Till It's Gone)" was released as a single in August, and it peaked at number 12 in November. The album reached number ten in September, the same month it was certified gold and platinum simultaneously, with a double-platinum certification following in November. (It was certified triple platinum in January 1997.) As the group continued to tour relentlessly through 1988 and 1989, Mercury broke more singles from the LP. "The Last Mile," released in December, peaked at number 36 in March 1989; "Coming Home," released in March, hit number 20 in June; and "Gypsy Road," finally put on 45 a year after the release of Long Cold Winter in July 1989, and backed by a live version of the Rolling Stones' "Jumpin' Jack Flash," got to number 51 in September. 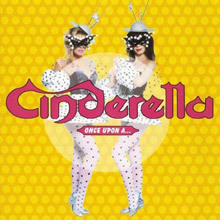 Cinderella's touring opportunities also dried up, and while the group did not formally disband in 1995, it became inactive for lack of offers. Keifer moved to Nashville in 1997 and worked on his songwriting, eventually getting cuts on albums by Andy Griggs and Lynyrd Skynyrd. By 1998, there was enough interest by promoters for Cinderella to reunite (with Coury rejoining) for a tour. On October 2 and 3, they appeared at the Key Club in Hollywood, CA, and recorded the show for an album, Live at the Key Club, released on Cleopatra's Dead Line label in July 1999. Unfortunately, the disc was also licensed out to other labels over the years and has confused consumers by also appearing under the titles In Concert and Live From the Gypsy Road. Featuring a minor guest appearance by Jon Bon Jovi, Cinderella's debut album, Night Songs, positions the band as a second-tier pop-metal outfit, with a mix of ballads ("Nobody's Fool") and rockers ("Somebody Save Me") one might find on an album by any similar '80s band with a high-pitched vocalist. It's not bad, just generic; the band does hint at the potential it would fulfill on later albums, but little of Cinderella's own personality shows through at this point. Long Cold Winter is a transition album for Cinderella, mixing pop-metal tunes with better hooks than those on Night Songs with a newfound penchant for gritty blues-rock à la the Stones or Aerosmith. The ballads -- the grandiose "Don't Know What You Got (Till It's Gone)" and the excellent, lower-key "Coming Home" -- are what made the album Cinderella's most commercially successful, but the effective combination of pop hooks and tough, swaggering rock &amp; roll on songs like "Gypsy Road" and "Fallin' Apart at the Seams" prevents the album from becoming simply a vehicle for hit singles and keeps it interesting. 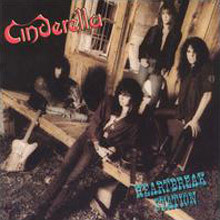 After successful albums that effectively followed contemporary hard rock trends, Cinderella reached back into the Stones and Aerosmith songbooks and created a sneering, raunchy hard rock album that was artistically their finest moment, even if it didn't reach the same commercial heights as its predecessors. But the sales figures don't matter (it only sold a million copies); Heartbreak Station shows that Cinderella has more genuine rock &amp; roll grit than most of the metal bands of the late '80s. Looking Back is a comprehensive collection of Cinderella's entire career, featuring all of their hits -- "Nobody's Fool," "Don't Know What You Got (Till It's Gone)," "The Last Mile," "Coming Home," "Gypsy Road," "Shelter Me" -- plus highlights from their inconsistent records, and the previously unreleased "War Stories." The compilation doesn't overlook nearly any of their best songs, and it's hard to imagine that a more thorough retrospective than Looking Back could ever be assembled. 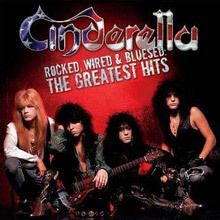 Cinderella's Rocked, Wired &amp; Bluesed: The Greatest Hits is intended to replace the 1997 compilation Once Upon A ... as a full-length, single-disc retrospective on the group. Like Once Upon A ..., it contains all eight of Cinderella's Billboard Hot 100 hits and 11 of its 12 entries in Billboard's Mainstream Rock radio chart. (In both cases, the exception is "Bad Attitude Shuffle.") 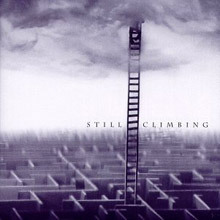 But the newer collection adds the album tracks "Night Songs" from the debut album of the same name; "Bad Seamstress Blues/Fallin' Apart at the Seams," "Long Cold Winter," and "If You Don't Like It," from the second album, Long Cold Winter, and "Winds of Change" from the third album, Heartbreak Station.